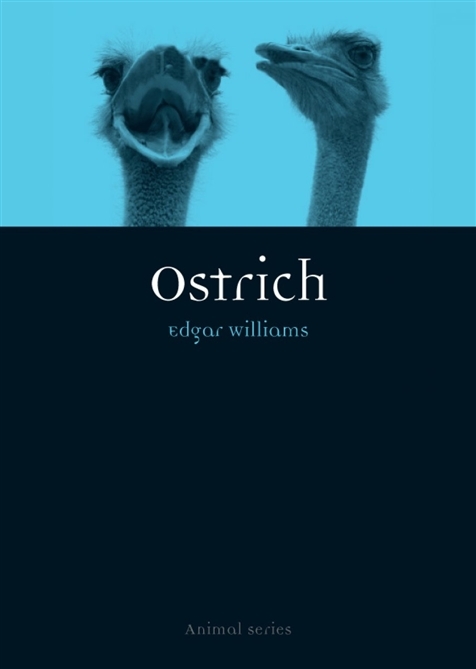 In many senses the ostrich looms large – the tallest and heaviest of any living bird, a fully grown North African ostrich can reach 2.75 metres (9 feet) in height and weigh almost 160 kgs (350 pounds). It also lays the largest egg of any living bird. From its eggs to its meat, skin and feathers, the ostrich has been exploited by humans since history began. The demand for its feathers was so great in Victorian times that vast fortunes were made from ostrich farming, particularly in South Africa and the United States. Following the First World War fashions changed, fortunes were lost and new uses for the now domesticated ostrich had to be found. Nowadays, the modern ostrich farmer not only produces plumes and leather for the luxury market but also meat for the supermarket. 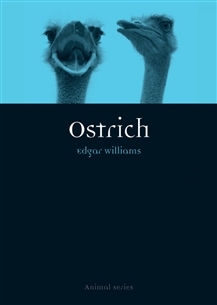 In addition to its sheer physical presence, the ostrich has long been an object of curiosity and fascination, becoming a byword for passivity while being feared for its aggression. It has featured in art, literature, ﬁlm and popular culture, been represented in cave paintings, ancient medieval manuscripts and the Bayeux Tapestry, shown in advertising and drawn as a cartoon character in many modern films.